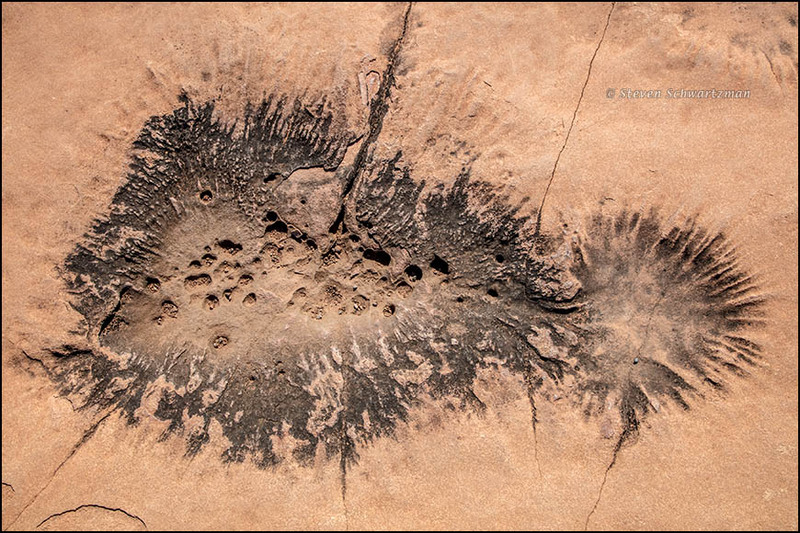 From my big Southwest tour I learned the geological term tafoni, a plural noun that refers to “small, rounded, smooth-edged openings in a rock surface, most often found in arid or semi-arid deserts. 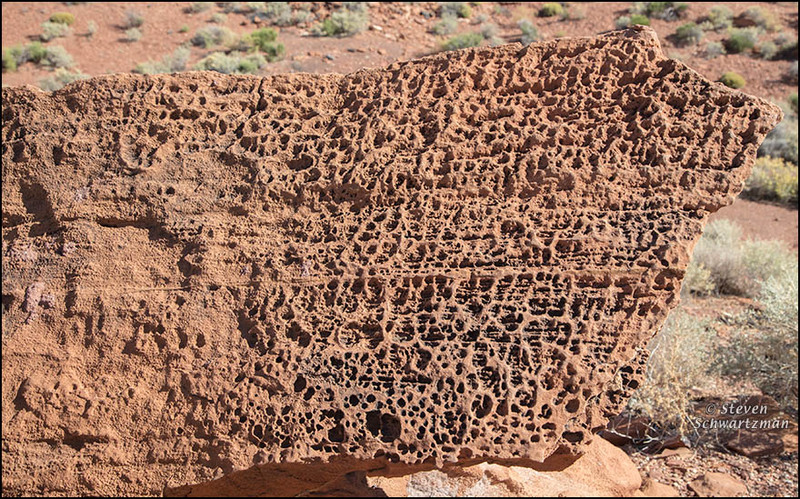 They can occur in clusters looking much like a sponge and are nearly always on a vertical or inclined face protected from surface runoff.” Such formations have also been called “honeycomb weathering” and “swiss-cheese rock.” The example above is from Arizona’s Wupatki National Monument on October 21st of last year. 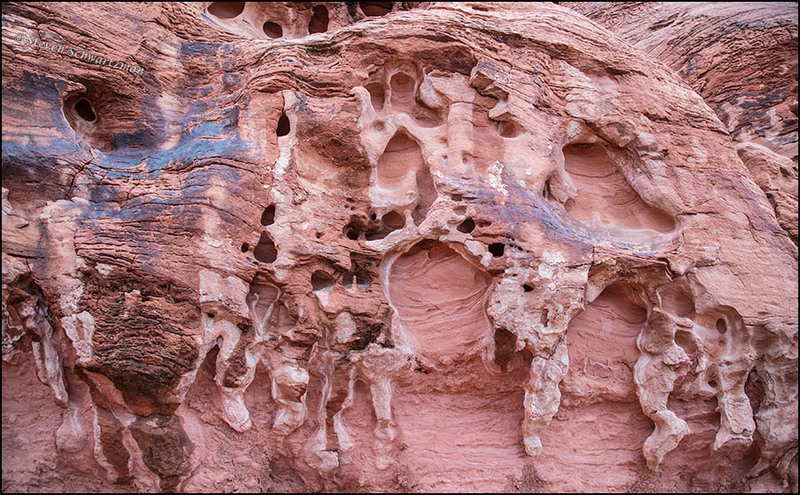 The formation shown below from Nevada’s Valley of Fire State Park on October 24th represents a different sort of tafoni that you can imagine inspiring the practitioners of Art Nouveau. 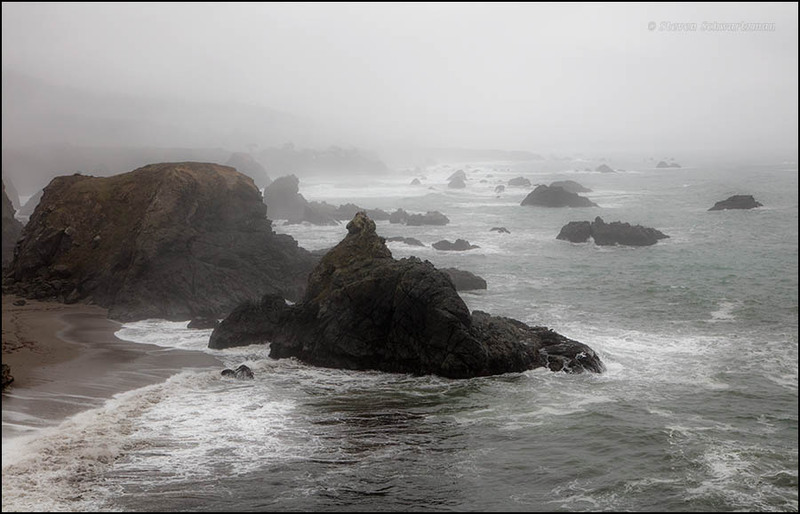 To learn more about tafoni and see many more instances, check out Kuriositas or Wikipedia. The wispy clouds above Morro Rock in California on the morning of November 4th, 2016, appealed to me. 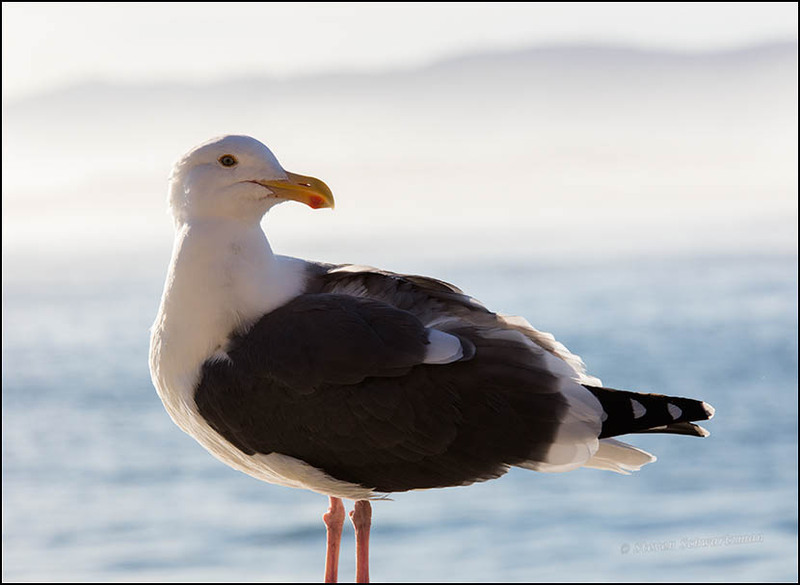 At the same time, down below, I saw what I take to be a western gull, Larus occidentalis. 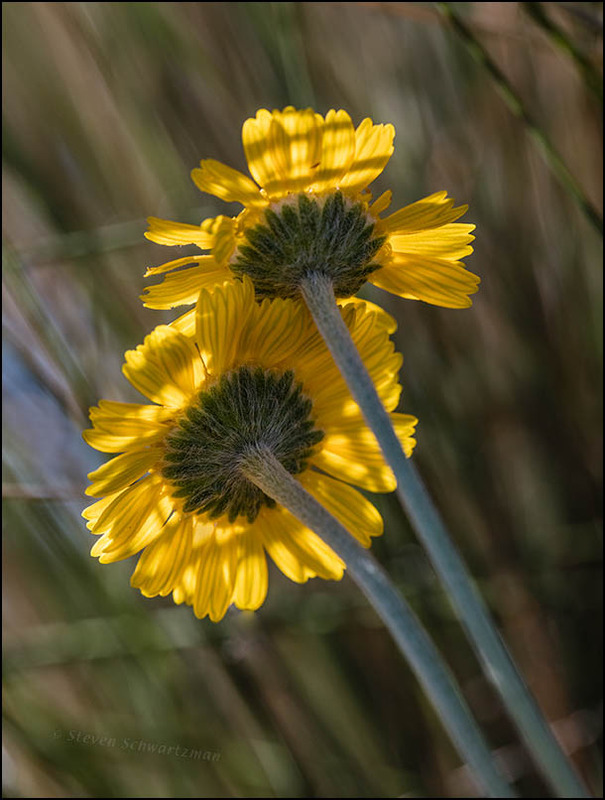 On a couple of recent walks I’d been hoping to spot some four-nerve daisies because Tetraneuris linearifolia can be found flowering here in any month of the year. Yesterday along Tom Miller Street near an edge of the Mueller Prairie Restoration I finally came across a few. This is a species I’ve photographed many times and shown here often enough, so the challenge was to take a different approach. 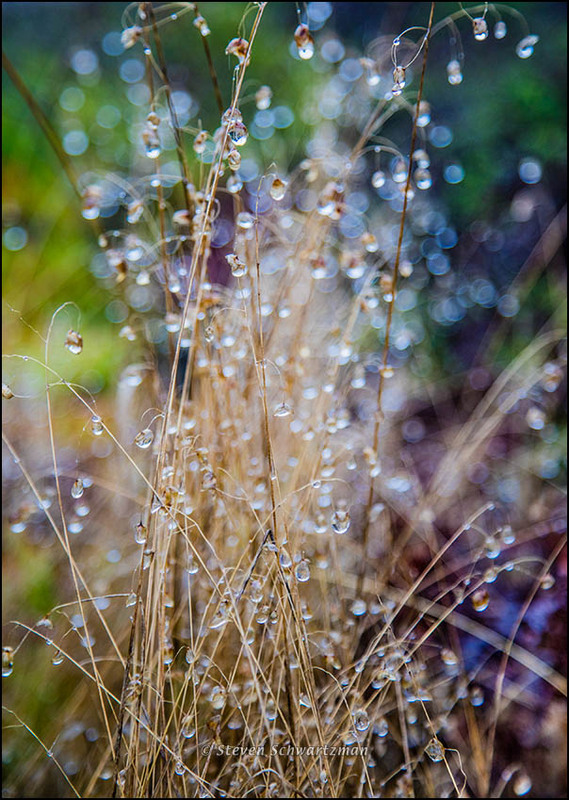 For this portrait I lay on the ground so I could get some oblique blades of grass as a background. That also allowed the shadows of some blades to fall on the flowers and reinforce the grid-like pattern of the picture as a whole. 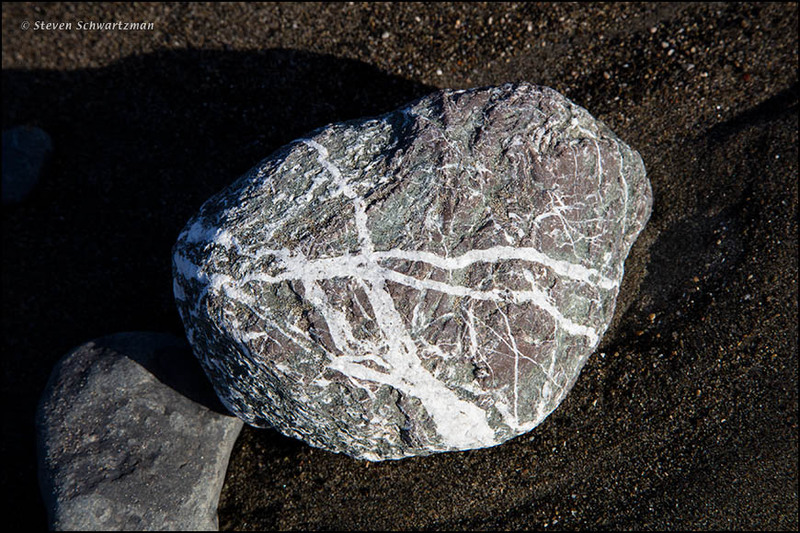 At California’s Muir Beach on November 1st of last year the white veins in some of the rocks intrigued me. On November 8th of 2016 in the eastern section of Tucson’s Saguaro National Park I saw what I take to be the nest of a cactus wren, Campylorhynchus brunneicapillus. 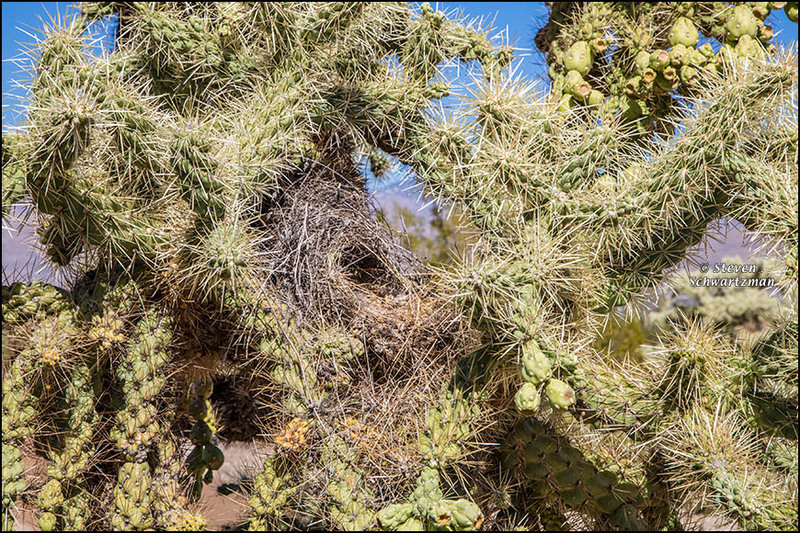 The cactus is either a staghorn cholla, Cylindropuntia versicolor, or a buckhorn cholla, Cylindropuntia acanthocarpa. “Impressionistic” doubles as a self-serving way of saying there was so little light I couldn’t get much in focus at such a close distance. 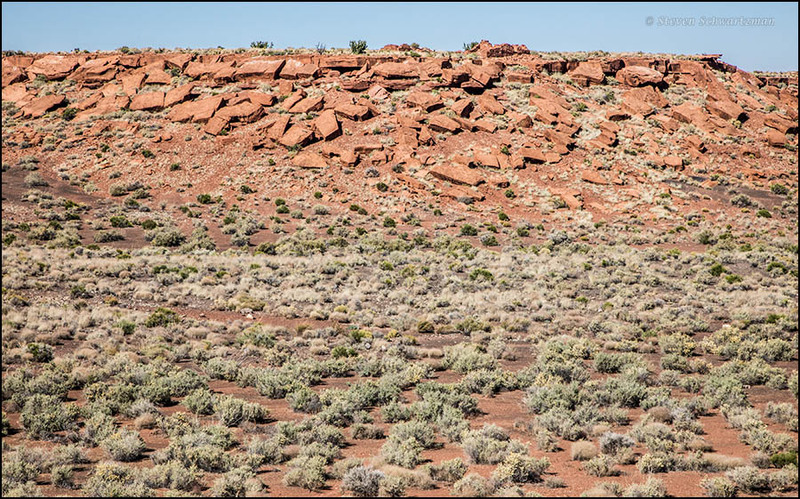 Continuing north in Arizona from Sunset Crater on October 21, 2016, we soon came to Wupatki National Monument, which we, like most people, visited for its Indian ruins. 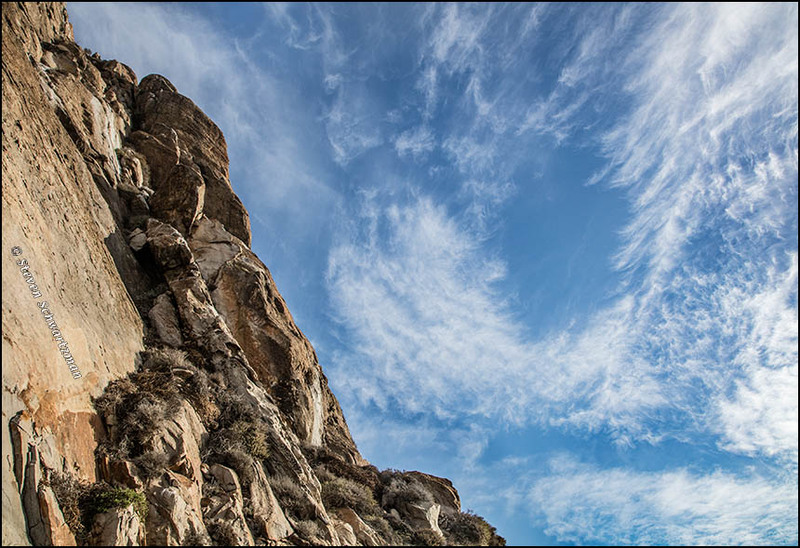 As a photographer, I appreciated the place for its desert landscapes as well. 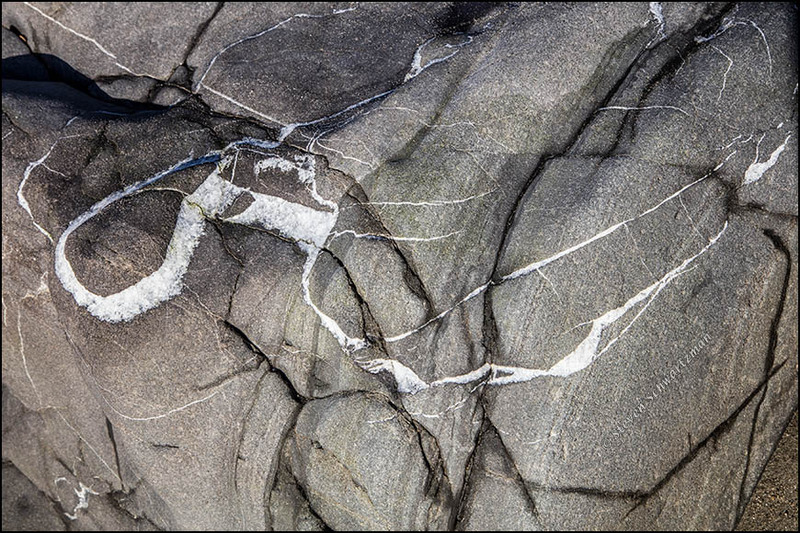 On a horizontal rock surface at the site I found a feature that could pass as the inspiration for Rorschach inkblots. What does it say of me if I see this as the fossil of a spiny fish? Chime in if you’d like to say how you see it.